The TTS-67A provides aircraft stimulus for an ARINC 718 Mode S Transponder. A Windows based User Interface software provides capability of controlling all resources in the test set manually. The User Interface allows generation of test scripts by recording the actions on the virtual panels. 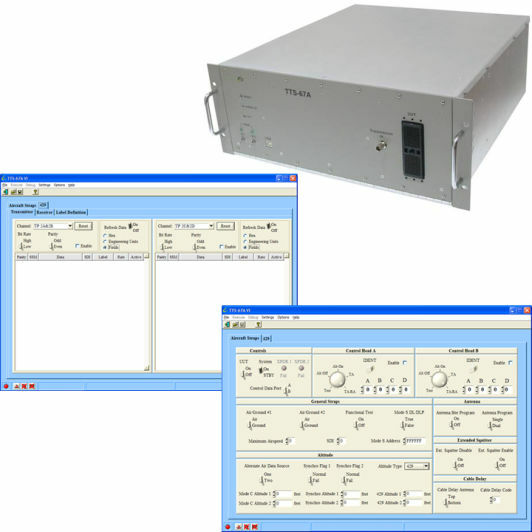 Allows 429 data from external TCAS Processor or Control Head.